Cameras. Motorcycles. Etc. A John M Flores gig. An interesting if imperfect comparison, originally uploaded by john m flores. While hanging out with my brother, I snatched his Olympus OM-D (+PanLeica 25/1.4), inserted my card and grabbed some shots. I then took my Pentax K-01 (+DA21/3.2) and tried to grab the same shot. Both JPGs. Both ISO3200. Both F3.2. I'm not going to pixel peep here - the shutters were both very slow for the focal length, so any lack of sharpness could be a matter of IS, technique, or both. What's interesting is - color cast aside, the photos are really quite close. 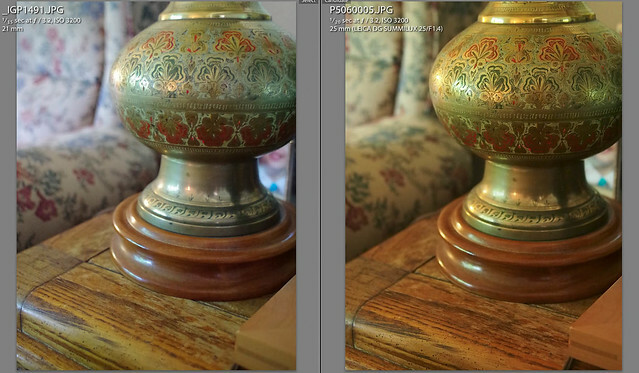 I could easily take one and with just a couple of quick Lightroom adjustments make it look like the other. I had relegated my Panasonic GH2 and other M43 cameras to video duty only, but the OM-D has me thinking twice. The good thing is - I neither need it or want it at the moment (the retro styling does nothing for me). So my credit card is safe, for now. A full week now with my E-M5 and it has been a total revelation. The perfect blend of compact size ease and speed of handling and now (finally) decent high ISO performance. Couple that with the recent good glass that has emerged from both Olympus and Pana-Leica and it's a hard combination to match for travel photography. Interesting. The OM-D is really making waves. After purchasing the E-P3 just a handful of months ago, my brother determined that it still wasn't good or fast enough to replace his Canon kit. Now with the E-M5 he's that much closer to ditching his dSLRs. Take better travel photos. Ten simple tips. Now available on Amazon. Everyone love cats, right? They're all ove the Internet. Take better cat photos. Now available for the iPad. 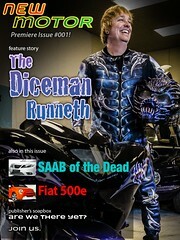 Interview with electric motorcycle drag racer Jeff "Dice" Disinger, plus interviews with SAAB and FIAT about their EV plans. Available in iTunes.